One of my first childhood memories was at age three-and-a-half years, watching reruns of the comedy series The Monkees. 🎭📺 I soon developed my first celebrity crush on Monkees band member David ‘Davy’ Jones, the cute, short one. 😍 The TV show also led me to become a lifelong admirer of the band–which also includes drummer Micky Dolenz and guitarists Michael Nesmith and Peter Tork–and of their music. Watching all four men perform, be it together on television, or as a duo or trio in concert, still brings back so many happy memories. Therefore, on February 29, 2012, when I friend told me Davy had died from a severe heart attack, I was overcome with sadness. 😭 I perceived Davy as like an old friend from my childhood, who made me laugh at his funny antics on The Monkees and who made me smile whenever he sang. One of my many favorite Monkees songs. The song Davy was synonymous for. Any one of my closest friends or family members will tell you that I’ve been a fan of the band The Monkees since I was three-and-a-half-years-old. Every summer, I used to watch reruns of their television show since I wasn’t born when the show initially aired, in 1966. I own all their albums and a few other miscellaneous collectibles. In fact, I was fortunate enough to meet Davy, Micky and Peter (minus Michael Nesmith) in July 2011, just seven months before Davy Jones died. I’ll always treasure the memories and the happiness their songs have brought me over the years. The Monkees TV show was one of my first television memories and the band has inspired me in more ways than one. It has been exactly four years since actor, musician, singer, songwriter, author and one-fourth member of the 1960’s band The Monkees, Davy Jones, died of a severe heart attack at the age of 66. I was fortunate to have met Davy briefly just seven months before he died. I’ve met a few celebrities in my life and have never been starstruck because I know they’re human, just like you and me. The ones who I’ve met have been nice and friendly. However, meeting The Monkees, especially Davy, was different. Maybe it was because The Monkees and their music were a part of my childhood (I wasn’t born when the television series The Monkees first aired, but I watched reruns of it every summer when it aired in syndication) and because he was my first (celeb) crush. 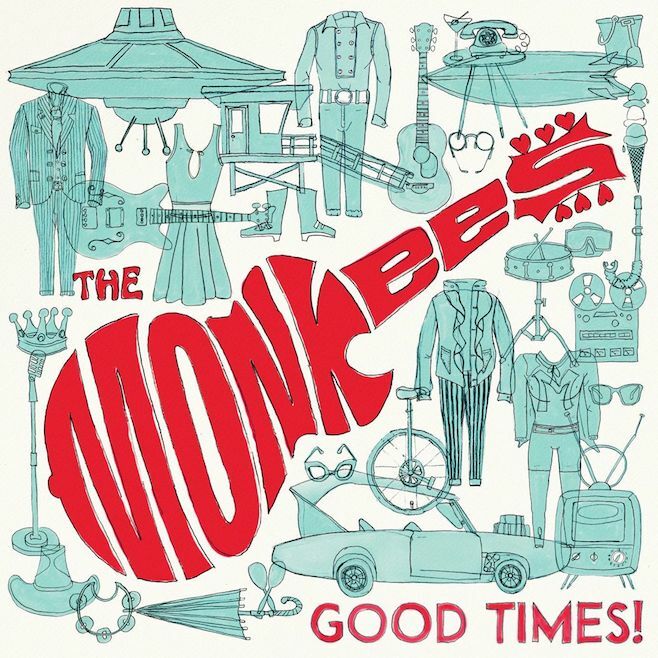 The Monkees’s 12th album is scheduled for release June 10. It was announced today that The Monkees will be releasing a new album and will tour this summer to commemorate the band’s 50th anniversary. The album, titled Good Times, is scheduled for release June 10. 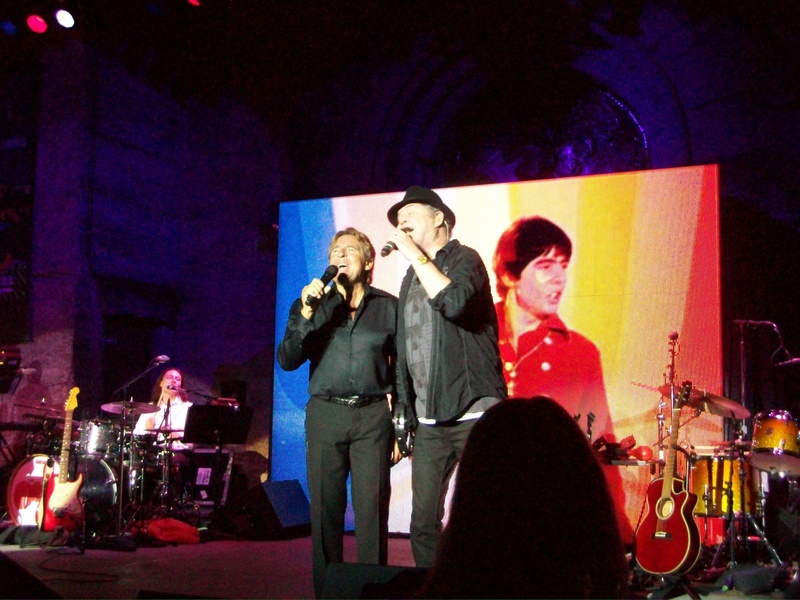 Band members Micky Dolenz and Peter Tork will tour multiple cities across North America, beginning May 18. Michael ‘Mike’ Nesmith won’t be involved with the new album nor the tour since he currently has multiple projects he’s working on. Sadly, one missing link will be the absence of front man Davy Jones, who died on Feb. 29, 2012, after having suffered a severe heart attack near his Florida home. For more information about The Monkees new album and tour, click here. Do you have a favorite Monkees song or album? Born on this day in 1945, actor, singer, musician and former band member of The Monkees, David ‘Davy’ Jones. Jones would have turned 70-years-old today. Sadly, Jones died on Feb. 29, 2012 of a severe heart attack due to coronary artery disease. Forty-nine years ago today, on Sept. 12, 1966, The Monkees comedy series debuted on NBC-TV. 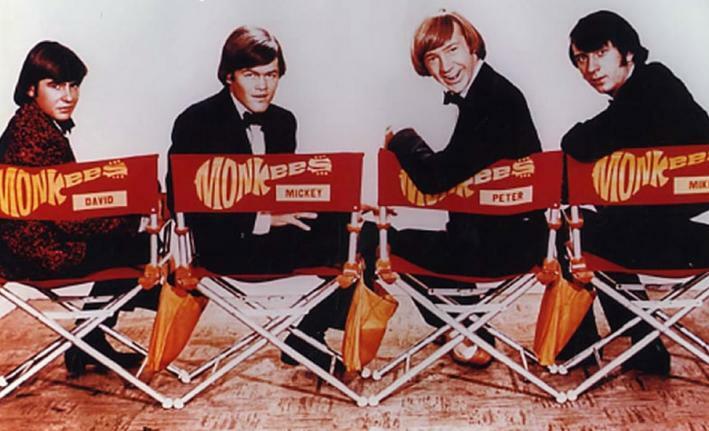 The series starred actors Davy Jones and Micky Dolenz, and musicians Michael Nesmith and Peter Tork. The show was the creation of film director and producer Bob Rafelson, and film and TV producer Bert Schneider, whose production company Raybert Productions also produced the films Easy Rider and The Last Picture Show. 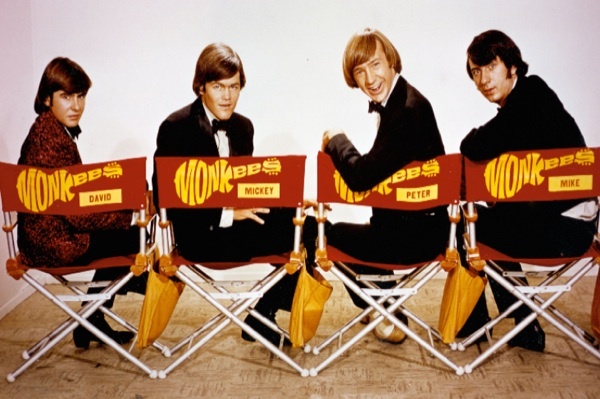 The Monkees television show incorporated an element that (I believe) is lacking in today’s situation comedies, which is music (sorry, but Glee doesn’t count). The Monkees lasted only two seasons and the band has toured subsequently since 1966. The Monkees became a band despite critics (I’m looking at you Jann Wenner, a member of the Rock and Roll Hall of Fame Foundation, who Monkees fans believe is ‘holding the key’ so they aren’t inducted into the RRHOF) stating they weren’t a band. I’m pretty that if they’ve sold more than 75 million records worldwide and out-sold The Beatles and The Rolling Stones combined during their peak (not to mention that the show won two Emmy Awards), then they ARE a real band!